Stephanie Watwood had no reason to expect that two elephants would cross her path. Nor did she anticipate their surprising vocal impersonations. At least until the elephants showed up in her lab. It happened this way. Joyce H. Poole, a researcher at the Amboseli Trust for Elephants in Kenya, was studying vocal behavior in African elephants, Watwood said. “She had friends who were running an orphanage for elephants, and they had heard this female elephant, Mlaika, making strange sounds, so Joyce went to check it out. 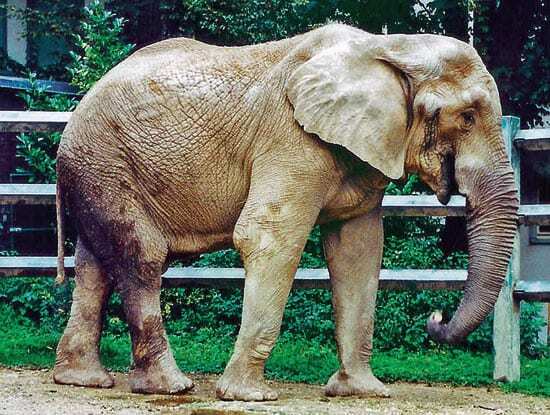 Meanwhile, another elephant communication researcher, Angela S. Stoeger-Horwath of the University of Vienna, had discovered a male African elephant named Calimero living in a zoo with female Asian elephants—a different genus and species. He didn’t make any normal male African elephant sounds, but mimicked the chirping calls of his female roommates. Stoeger-Horwath shared her findings with Poole, and they agreed: These elephants seemed to have learned to imitate unusual sounds. Then they remembered hearing a lecture by Peter Tyack, a WHOI biologist and an expert on vocal learning in marine mammals. That’s how two elephant researchers in Europe and Africa ended up in contact with Watwood in Woods Hole. “They were looking for someone who would believe that their elephants made funny sounds,” Watwood said. 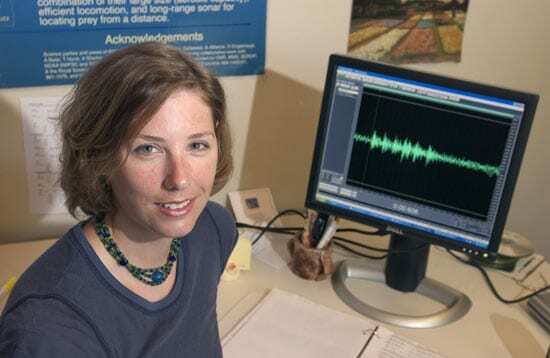 The two elephant researchers sent Tyack numerical data on the elephants’ calls. Watwood, an expert in analyzing similar data from marine mammal sounds, compared the frequencies and duration of Mlaika’s and Calimero’s calls with the sounds of the trucks and the Asian elephant females. The work of Poole, Tyack, Stoeger-Horwath, and Watwood demonstrated for the first time that elephants, too, have the ability to learn and imitate vocal sounds. The sounds that Mlaika and Calimero made did not exactly match the trucks and the Asian elephants, Watwood said, but it was clear that they were trying hard to mimic those sounds to the best of their abilities. This research was funded by Woods Hole Oceanographic Institution.